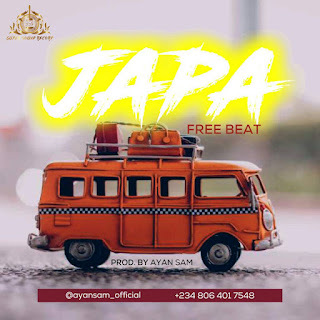 Ayan Sam is dishing out this BANGER to upcoming artist to do a recording on the JAPA FREE BEAT, and stand a chance of getting a free beat worth N50,000. Hear from Ayan Sam himself. Hi, I'm Ayan Sam, also know as THE SUPER STAR PRODUCER, I just want to use this medium to reach out to my loyal fans out there, I'll be making beats for the winner, plus online promotion and hyping. This is a chance to get a customized beat for yourself. I may be choosing up-to 3 winners. Aren't you tired of using online free beats?